Gelato is a relatively new player on the West Coast but has quickly gained popularity. It’s a well-balanced hybrid, leaning more towards an indica than a sativa. Usually, it contains higher levels of THC, hovering around 20 percent with some growers supposedly hitting above 27 percent. Because of the potency, new smokers need to be careful when they take a big hit of this deliciously sweet strain. With a little sativa mixed into its indica properties, the Gelato experience is a much more mellowed experience than a Northern Lights purebred will deliver. This means, that while it is great for reducing anxiety and promoting total body relaxation, you can still hold a sensical conversation. The strain tastes woodsy, fruity, and mildly like orange. It pulls thick and smooth, which makes it a lovely smoking experience. 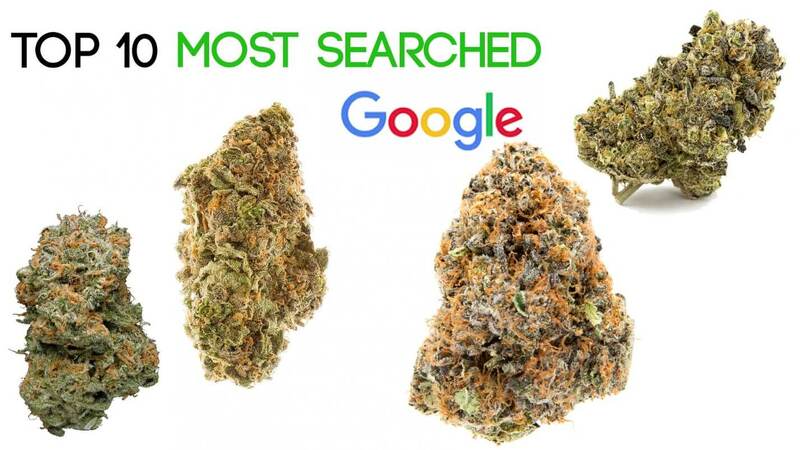 If you haven’t already tried this 5th most popular strain, as determined by Google, it’s worth a shot the next time you make an order. Skywalker comes in many, many varieties. From Skywalker OG to Skywalker Kush to a little-known strain called Skywalker Alien. The original strain, Skywalker, is very clearly a consumer favorite just by the number of children it has spawned. It is a 50:50 hybrid, between two other combinations: Mazar x Blueberry OG.